Billy Gross Sanders entered into eternal rest on Sunday, January 20, 2019. Born August 10, 1938, Mr. Sanders was a lifetime resident of Barnwell. 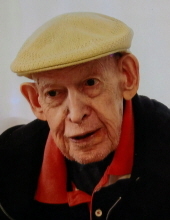 He was the son of the late Toby Joe (TJ) and Ethel Mae Sanders. He enjoyed attending church, working in the garden, helping around the farm, building traps for catching rabbits, and spending time with his family. He was a faithful member of Green Branch Pentecostal Holiness Church. He was also a devoted son, loving brother, considerate uncle, and thoughtful friend. Bill was compassionate, smart, and humorous. His contagious smile will be missed by many. Mr. Sanders was preceded in death by his parents as well as his younger brother, McGee Sanders, Sr. He is survived by his sister, Virgie Ray of Barnwell; his nieces, Gwen (Bryan) Kinard and Ann Williamson of Barnwell; Lynn (Daniel) Godwin and Tonya Blume of Graniteville; a nephew, McGee (Tabitha) Sanders, Jr of Barnwell; his great nieces and nephews, Ross Kinard, Kyle Kinard, Duffy Willing, Gibson Willing, Miles Willing, Ella Blume, Sara Blume, Leah Blume, Dre Sanders, John Luke Sanders and Stephanie Gunnells; his great-great nieces, Kimberly Gunnells, Summer Gunnells, and Lindsey Gunnells. Mr. Sanders also leaves behind a sister-in-law and caregiver, Elaine Sanders; a special nephew, Charlie Still; and a dedicated volunteer, Ms. Mildred Beard. Visitation will be at 2 pm on January 23, 2019 at Green Branch Pentecostal Holiness Church with the funeral service immediately following at 3:00PM. Burial will be in the church cemetery. Mole Funeral Home of Barnwell is in charge of the arrangements. To send flowers or a remembrance gift to the family of Billy Gross Sanders, please visit our Tribute Store. "Email Address" would like to share the life celebration of Billy Gross Sanders. Click on the "link" to go to share a favorite memory or leave a condolence message for the family.